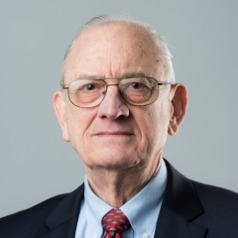 Henry D. Jacoby is the William F. Pounds Professor of Management, Emeritus in the M.I.T. Sloan School of Management and former Co-Director of the M.I.T. Joint Program on the Science and Policy of Global Change, which is focused on the integration of the natural and social sciences and policy analysis in application to the threat of global climate change. An undergraduate mechanical engineer at the University of Texas at Austin, he holds a Ph.D. in Economics from Harvard University where he also served on the faculties of the Department of Economics and the Kennedy School of Government. He has been Director of the Harvard Environmental Systems Program, Director of the MIT Center for Energy and Environmental Policy Research, Associate Director of the MIT Energy Laboratory, and Chair of the MIT Faculty. He currently serves on a U.S. National Academies Committee to Advise the U.S. Global Change Research Program.